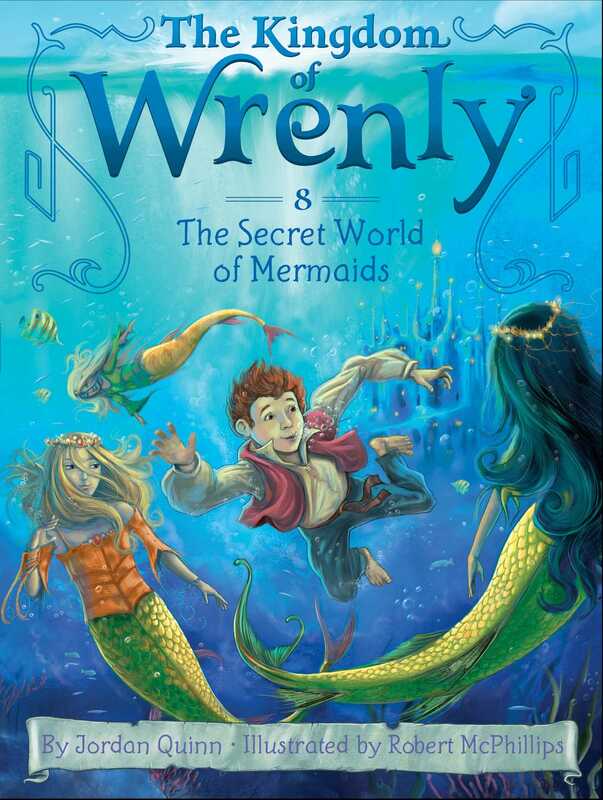 Prince Lucas discovers underwater secrets when he gets a glimpse of the mermaids’ kingdom in this eighth chapter book in the fantastical Kingdom of Wrenly series. Lucas and Clara are floating on a raft when a wave hits and throws Lucas into the sea. Before being pulled up to the surface, Lucas catches a glimpse of a coral kingdom filled with castles, towers, and…mermaids! King Caleb tells him that the mermaids have always treasured their privacy, and everyone should respect that. But despite his father’s advice, Lucas is determined to find out more about the mermaids’ secret world!